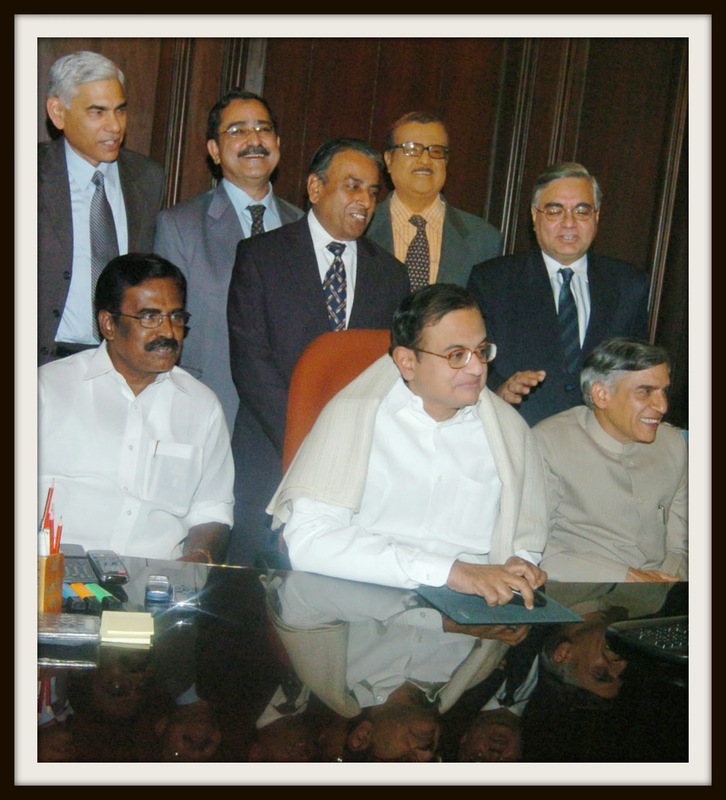 babus of india: Any guess on UPA ministers, bureaucrats who requested Vinod Rai to drop names from CAG reports? Any guess on UPA ministers, bureaucrats who requested Vinod Rai to drop names from CAG reports? drop some people and protect some others in connection with the CWG and coal allocation reports, as Rai himself told to the press. Former CAG, however, has not revealed the names of those politicians as yet. BoI wants to make it clear that this photo does not say anything beyond the fact that all these three ministers knew Rai personally. After The Times of India front-paged an article on Sunday quoting Rai on what all he could tell in his forthcoming book, expected to be released on mid-September, “Vinod Rai” began to trend in social media sites. Many asked him to reveal those names of UPA ministers or politicians. Meanwhile, the BJP has asked him to reveal the names of the UPA politicians who allegedly pressurised him. Significantly, Rai’s reports turned highly controversial and damaged the Congress politically. Senior Congress leader Manish Tiwari calls Rai’s new disclosure as “sensationalism” and wondered why he did not reveal any such thing then and there. Aam Aadmi Party leader Arvind Kejriwal appeals Rai to reveal the names of those people, as he believes, they should be punished. But UPA politicians were not alone. Rai said, his colleagues, meaning bureaucrats, were encouraged to talk to him in this regard. And that will start another guesswork: who are the bureaucrats who came to Rai with a request to drop names in CAG reports? But the question comes: Did any bureaucrat succeed in convincing him? The Ministers are there in the picture. Cant you see the writing on the wall?